1/2 roasted butternut squash (you can roast the other half too and use it to make our roast Butternut Squash and Courgette Risotto). 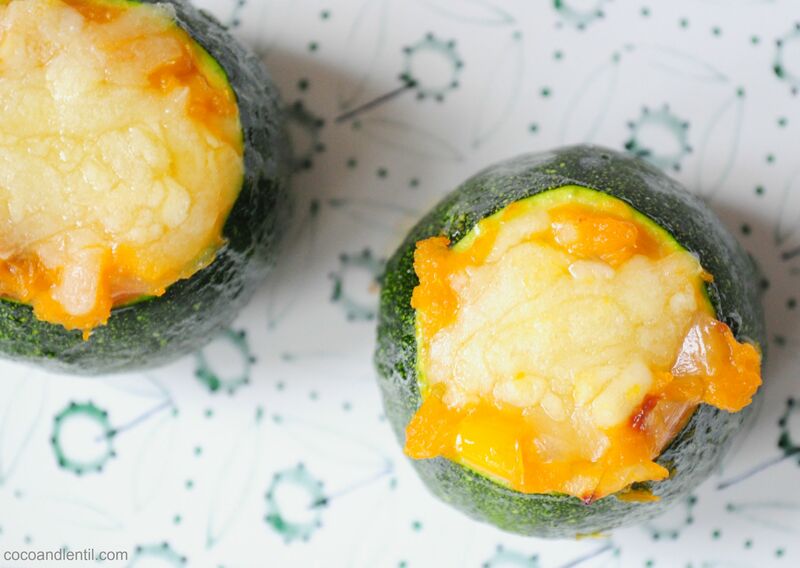 Cut the butternut squash in half and remove the seeds. Place the two halves (flesh side up) on baking tray covered with baking parchment and brush with olive oil. Roast for an initial 15 minutes. Meanwhile place the onions and peppers on another baking tray and brush with olive oil. Add to the oven after 15 minutes and continue to roast both the squash and onions in the oven for a further 10 – 15 minutes, turning the peppers half way through. Drizzle the courgettes with olive oil and add to the tray of onions and peppers and roast all for a final 10-12 minutes. 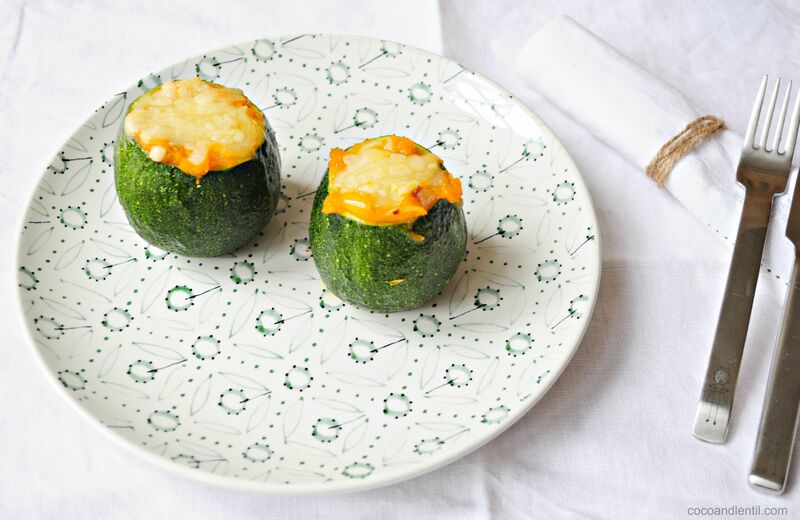 The butternut squash should be cooked through and the courgettes soft. Remove the baking trays from the oven and leave to cool a little. Remove the flesh from half the butternut squash and slice the onions and peppers. 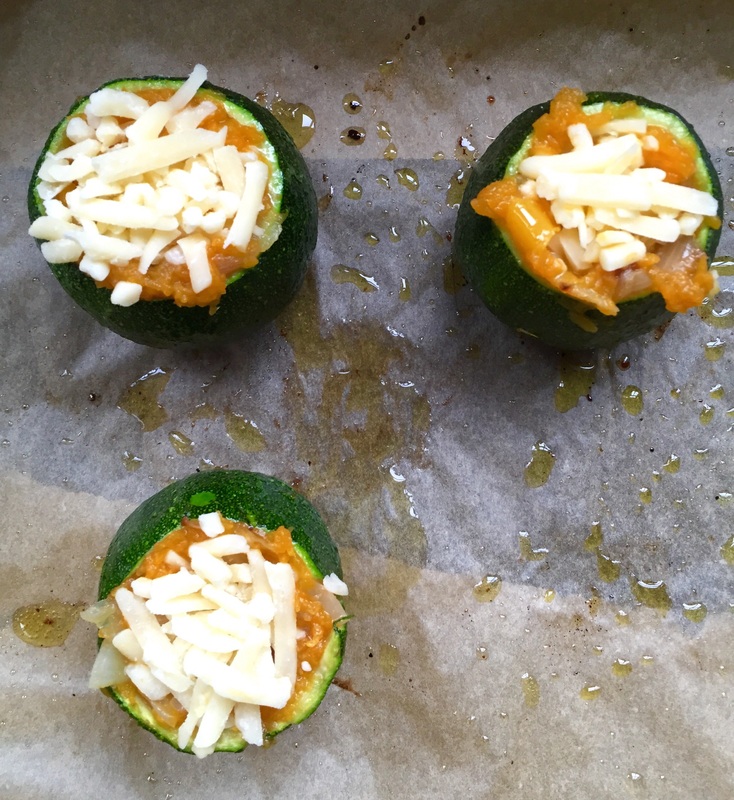 Then stuff the courgettes with a layer of onion, peppers, squash and cheddar and repeat with a second layer, topping with cheddar. 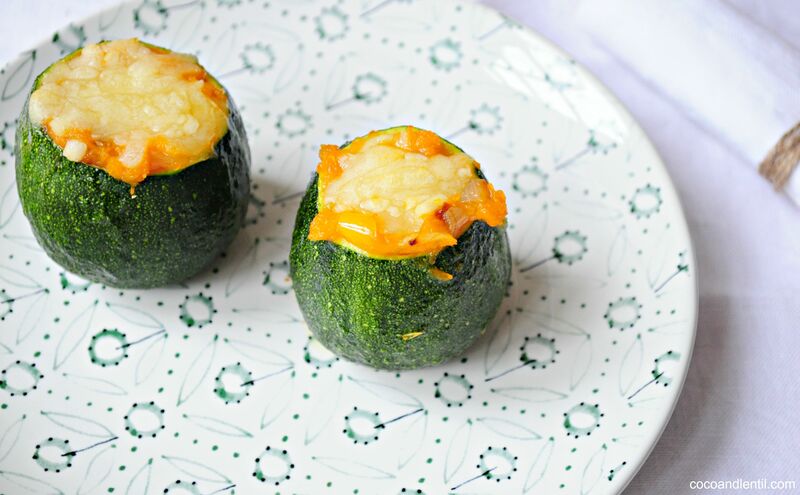 Place on a baking tray in the oven for a further 10 minutes until the cheddar has melted.